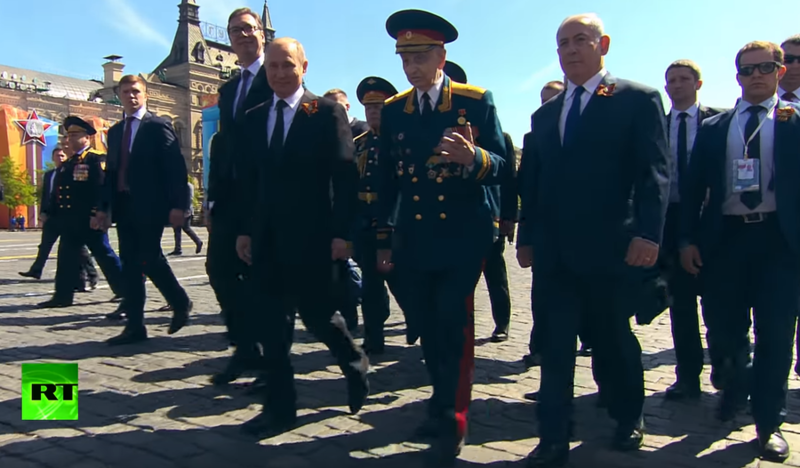 Russian President Vladimir Putin's bodyguards pushed away a World War II veteran at the Victory Day parade in Moscow, then Putin himself invited him to walk together. The two turned out to be old acquaintances. Retired major general Dmitry Syrkashev, 94, told RT that he was called up for military service when he was younger than 17. After completing just a six-month training course, the young soldier was sent into battle. The first major operation Syrkashev took part in was the Battle of Smolensk in 1943 – a strategic offensive operation by the Red Army to liberate the Smolensk and Bryansk regions in western Russia. 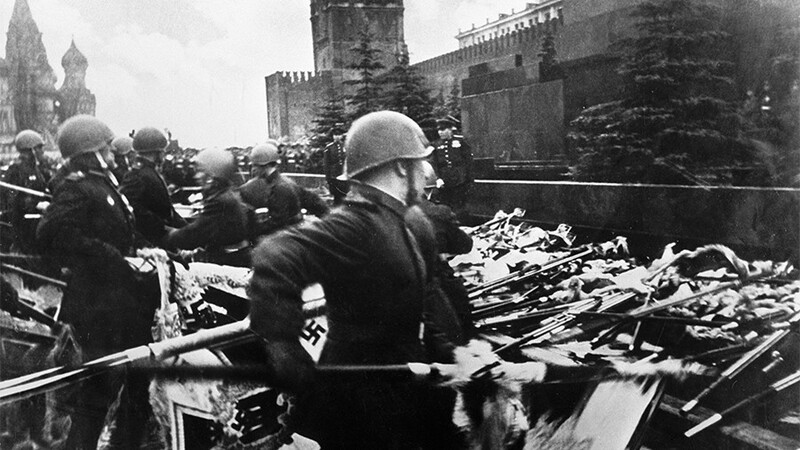 The Soviets faced fierce resistance from the Nazi troops who had managed to entrench in the region, but after several breakthroughs, several major cities were liberated. 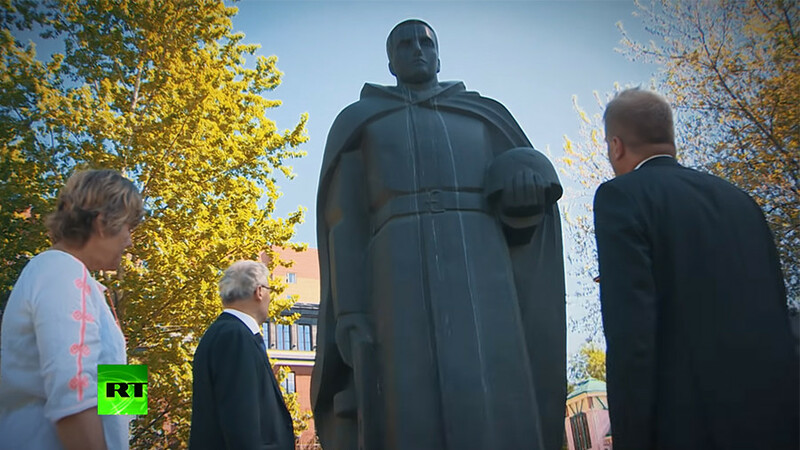 Syrkashev, who was a private at that time, was among the soldiers who freed Smolensk. He got a medal for Bravery for his actions during that operation. Later, he also participated in a summer 1944 offensive in Belarus, during Operation Bagration. 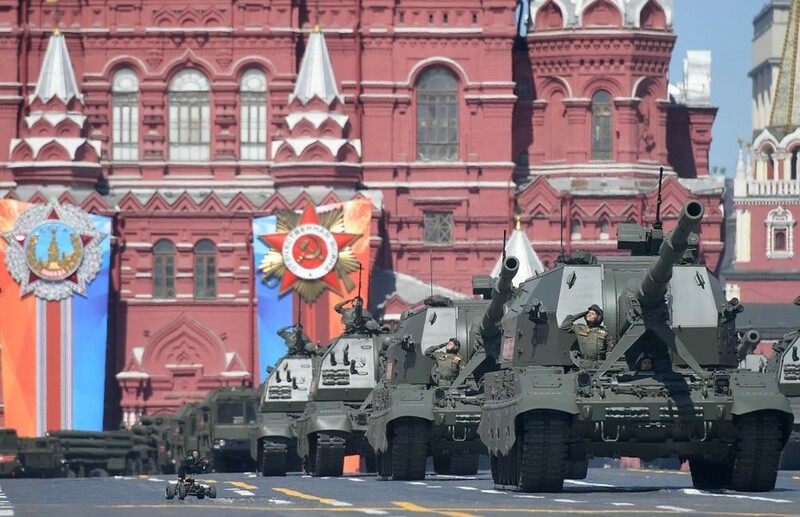 Syrkashev described this operation as one of his toughest battles. "There was heavy fighting. I was wounded there. A bullet hit me in the loins and went through, next to the spine. I went to hospital, and was back to the frontlines in three months," Syrkashev told RT. He then took part in the liberation of the city of Minsk, and after that, the Baltic States. At some point towards the end of the World War Two, he was promoted to the rank of second lieutenant and later participated in the Soviet assault on the city of Konigsberg (it was renamed into Kaliningrad after World War Two, and is now the capital of a Russian region in the Baltics). He was wounded again in that battle, but remained in the fight. After the end of the war in Europe, his unit was moved to the Far East, where they had to fight against Japan for about a month. However, the fighting there was not as intense, Syrkashev admitted. After the war, he stayed in the Soviet Army and was eventually promoted to the rank of major general. 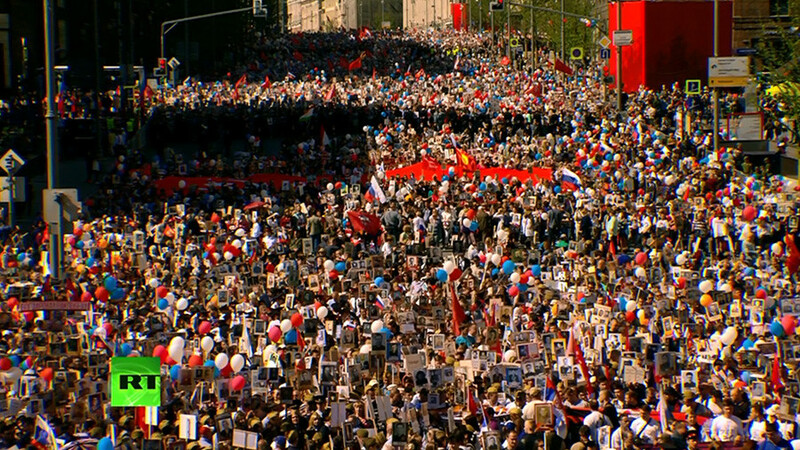 Syrkashev is an old acquaintance of Vladimir Putin, having spoken to him during previous Victory Day celebrations. This year, though, it didn't go as smoothly for him, as Putin's bodyguards unceremoniously pushed him aside to make way for the president. The entire incident was caught on video. 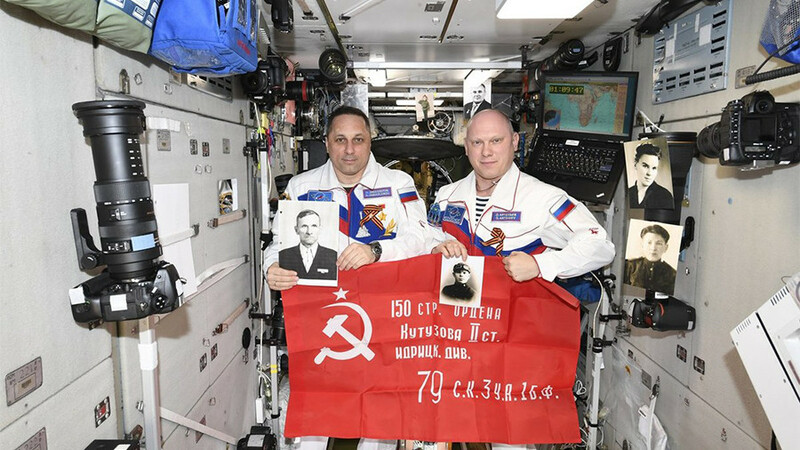 Syrkashev, however, says it was no big deal. As soon as Putin recognized him, the guards never bothered him anymore. The president and the veteran then walked together for a while. "He [the president] asked me about my health," Syrkashev said. 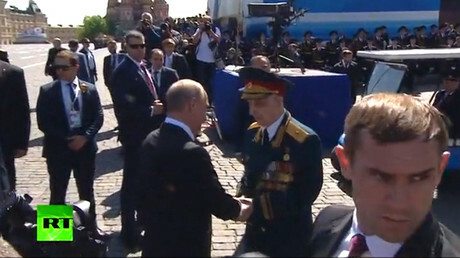 Putin accompanied Syrkashev to Alexander Garden, where the Russian leader laid a wreath at the Tomb of the Unknown Soldier together with the Israeli Prime Minister Benjamin Netanyahu and the Serbian President Aleksandar Vucic.